This week’s AMPED Artist Of The Week is Tempe, Arizona’s premier melodic metal/heavy rock band, 24 Thorns. Snippets of each track from the band’s brand new EP, ‘Twisted Hours’ can be heard via the links below. Since starting out in January 2009, 24 Thorns have made some serious headway on the local scene, where, as well as building a solid fanbase, the band has played shows with several renowned acts, including: Digital Summer, Fuel, Gemini Syndrome, Prong, Soulfly, and Fear Factory. Now, in 2015, 24 Thorns is ready to take their sound and status to a new level with the release of a new EP, tilted ‘Twisted Hours’ and a whole bunch of touring, including potentially, a show with Slayer and a trips abroad. We recently caught up with the band for an exclusive chat about their history and future, as well as the current EP, touring and a lot more. Stay tuned for that later in the week. 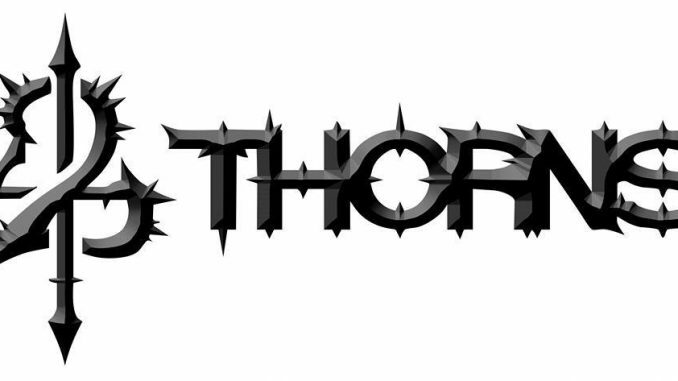 24 Thorns, Tempe, Arizona’s premier heavy rock band was established on January 24th 2009 by Jeremiah Dewitt (aka Joker) and Justin Paup, who set out to create a new style of melodic heavy music with their new band. The name, 24 Thorns, is a hybrid of the two prior bands of Jeremiah and Justin, 24 Hours (Justin) and Twisted Thorn (Jeremiah). 24 Thorns set out with a dream; now we want to take it all the way to the top. We have devoted our lives to music, music production and living the lifestyle — not for fame or money, but for the love of the music, and the respect of our fans.